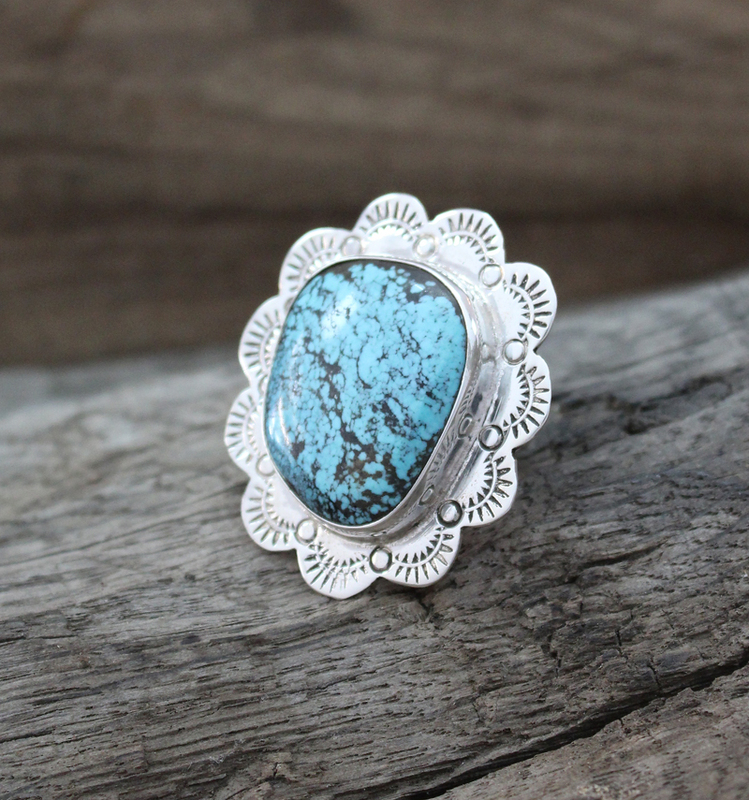 Handmade by Cherokee Silversmith General B. 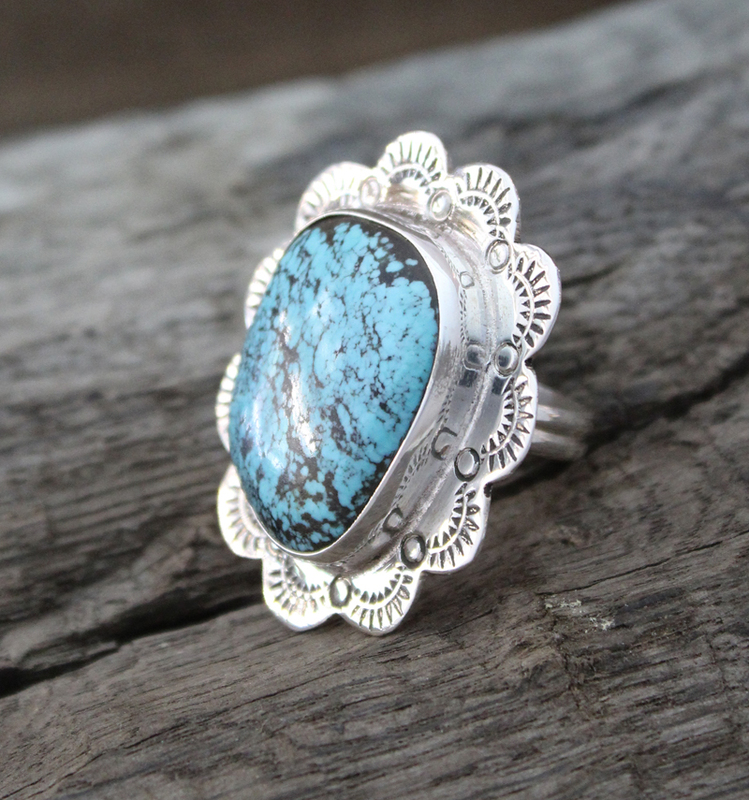 Grant, this extraordinary ring features a hand cut Turquoise cabochon surrounded by a detail sterling silver flower design. 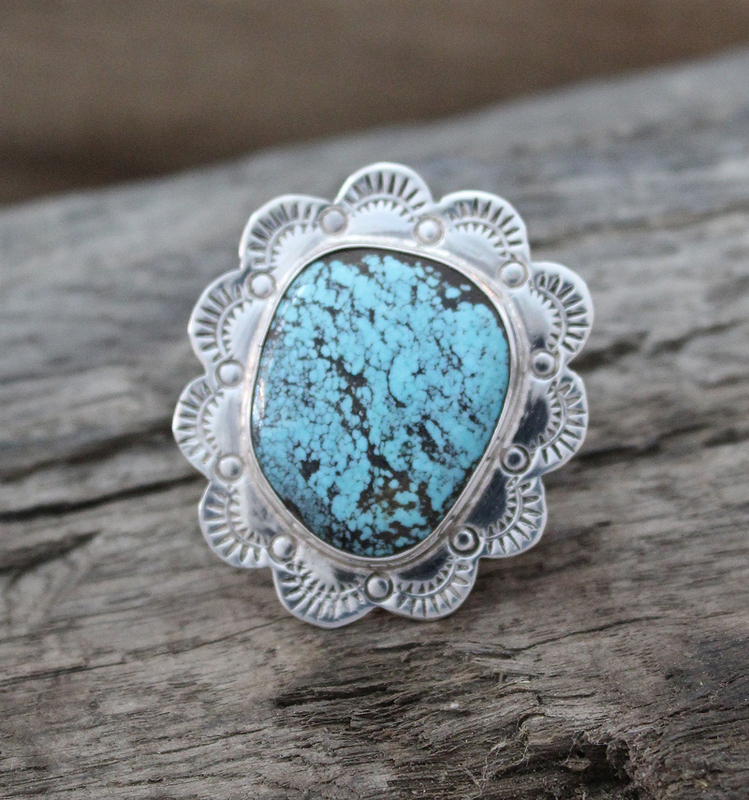 The ring is a 9 1/4 size but can be custom sized. Just let us know what size and we'll fix it for you with no additional charge.